JJabberjaw Media, a new music-focused podcast network was launched last week. Founded by Matt Carter (Emery, The BadChristian Podcast), Nick Bunda (BadChristian Producer), and Mike Mowery (Outerloop Management) the new network promises free expression of thoughts, ideas, and beliefs from it’s creators. The trio formed the network after seeing that there was a need for podcasts to collectively strategize and find ways to build stronger audiences through cross-promotion and shared resources. 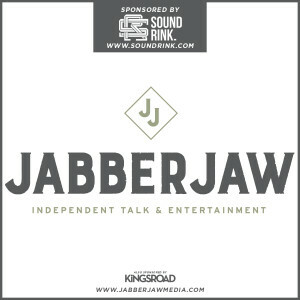 Jabberjaw Media has currently developed and launched two brand new shows, Lead Singer Syndrome with Shane Told (of Silverstein) and The Art Collective with Stephen Christian (formerly of Anberlin).